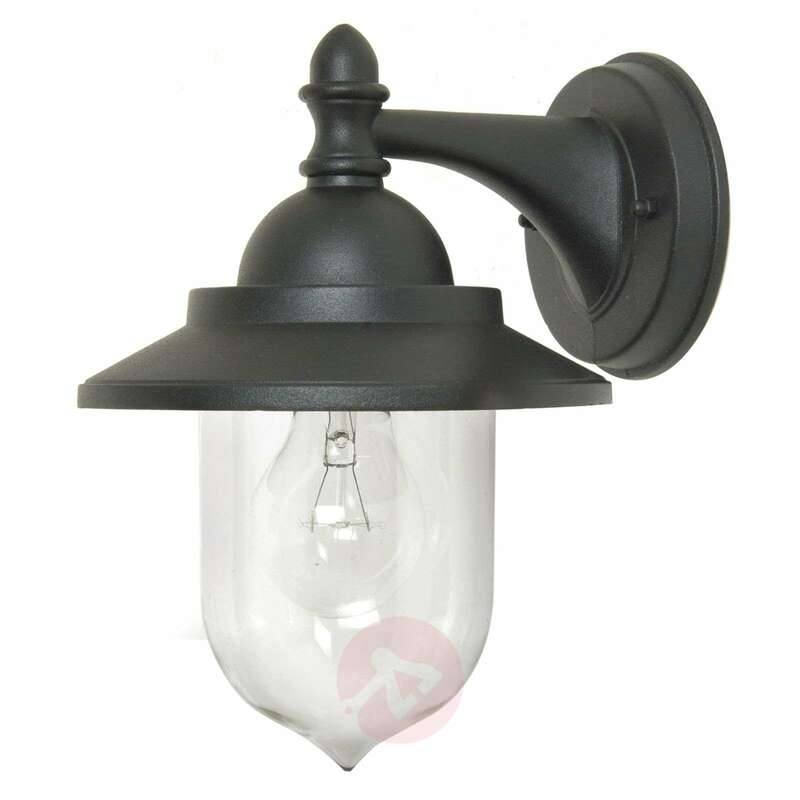 The outdoor wall lamp Sandown is timeless and can be used almost anywhere. It is made from cast aluminium with a black surface finish and has a clear, acrylic lampshade which juts out downwards. Equipped with IP code IP44, it is weather-resistant. It can be fitted with any kind of E27 bulb, although a decorative light bulb appears particularly attractive in the clear lampshade. Please see the accessories for a selection of suitable light bulbs.